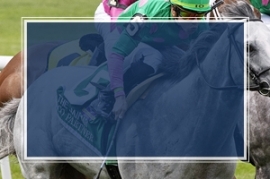 Make a $25 Win wager on selected Derby prep race days and earn a $10 bonus. Participate every time to earn up to $130 bonus!!! Bet $7 on one horse to WIN in the DRF Race of the Day. If your horse finishes 2nd or 3rd, we'll give you your $7 back. DRF Bets is the only wagering site that allows you to earn Free DRF Past Performances and exclusive Beyer Speed Figures. Get a 15% Winners Bonus on all Pick 5s on Saturday, April 20th. Maximum bonus of $250 per player. 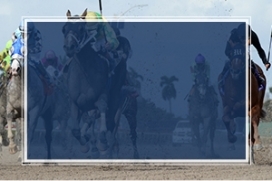 Daily Racing Form and DRF Bets provide the horseplayer with an exclusive integrated handicapping and wagering experience. 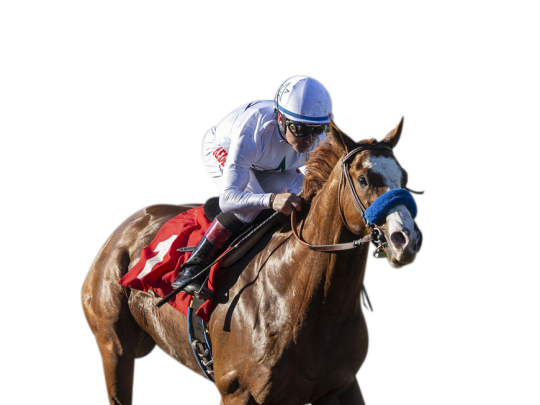 With DRF Bets, you have access to Free DRF PPs and Beyer Speed Figures, as well as the best horse racing promotions and rewards designed to help players win more, more often. Watch and wager on over 150+ tracks including Santa Anita, Gulfstream Park, Belmont, Saratoga, Del Mar, Keeneland, and horse racing's biggest events like the Breeders' Cup. 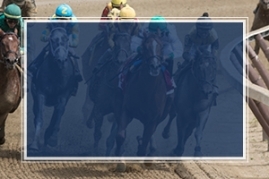 DRF BETS - THE OFFICIAL WAGERING SITE OF THE DAILY RACING FORM. Have questions about your account? Let us help. DRF BETS IS YOUR HOME FOR ONLINE HORSE RACING AND WAGERING. WITH DAILY RACING FORM, YOU HAVE ACCESS TO THE TOOLS AND INFORMATION THAT HORSEPLAYERS HAVE BEEN USING TO WIN AT THE RACES FOR 125 YEARS. EXCLUSIVE DAILY MEMBER PROMOTIONS SUCH AS RISK-FREE BETS AND WAGERING AND DEPOSIT BONUSES WILL HELP YOU WIN MORE, MORE OFTEN.